For bikers with some experience. This tour is a total of 7 days; your arrival & departure days, plus 5 days biking. 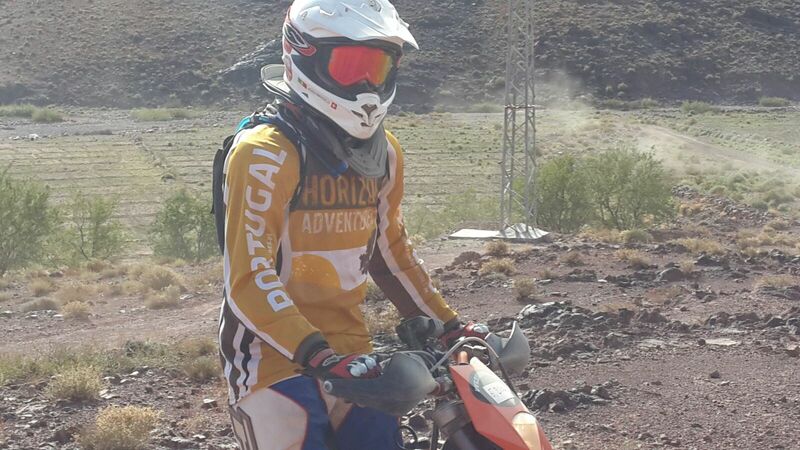 Who never dreamed of riding a Dakar? Well this his your opportunity! Of course this is not race so we all must ride in our safe zone. 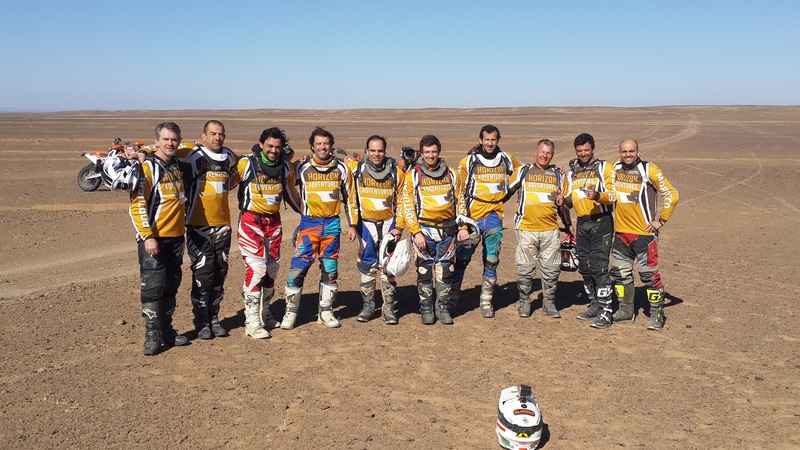 We`ve prepared 5 days of real dakar experience...the one we saw on TV a few years ago! An unforgettable expedition prepared to the minimum detail. This tour requires a minimum number of participants to occur. Contact us to know more details and number of participants already booked on the tour your keen to join. Alcohol every night – we bring the beers to our bivouac! Arrival at Ouarzazate or Marrakech airport and transfer to our 4* hotel in the town. Breakfast, final briefing, and departure to Dades. After refueling the off-road starts with a 20 kilometer plateau until a sinuous dry river bed in sand, to the south hillside of the High Atlas. Picnic lunch in a dry river bed. After lunch the track is undulating, interspersed with faster sections and sinuous and rocky rails due to big landslides. River crossings. Fast tracks before arrival at our hotel with a very typical decoration. Dinner at the Hotel. Departure after breakfast and departure to Merzouga. 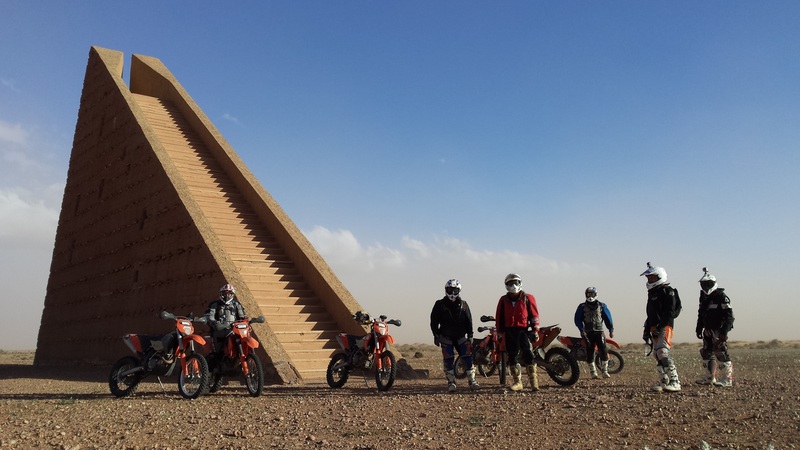 It is the longest day, with the first 100 km very winding through the Jebel Sahro mountain range, considered one of the most beautiful mountains in Morocco. Stop in the middle of the morning for chocolate, before lunch at 157 km. In the afternoon the Merzouga Rally tracks with a passage of the river Ziz and the first smaller dunes before refueling with Merzouga in sight. 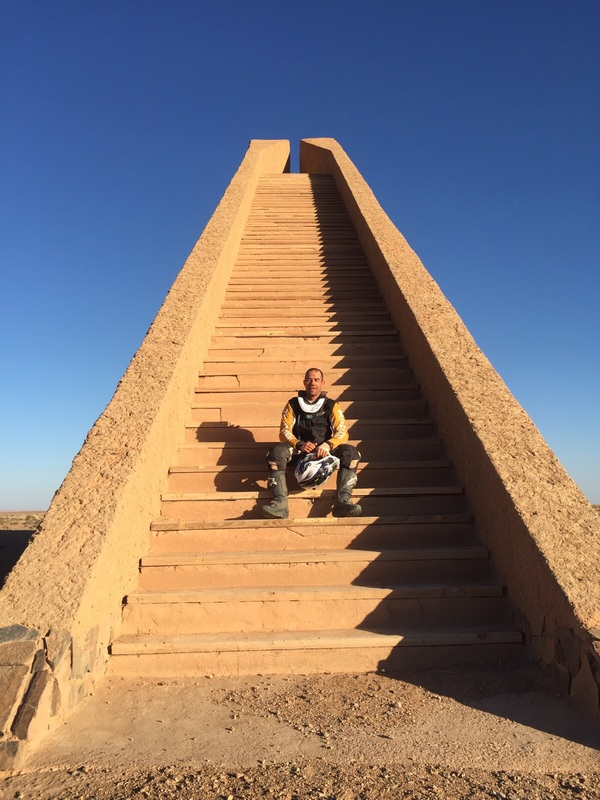 Arrival at our Hotel in front of the large dune of Merzouga with 160m of height, that we will climb the next morning. Dinner at the Hotel. This day has less kilometers than the previous one but will be the most tiring. 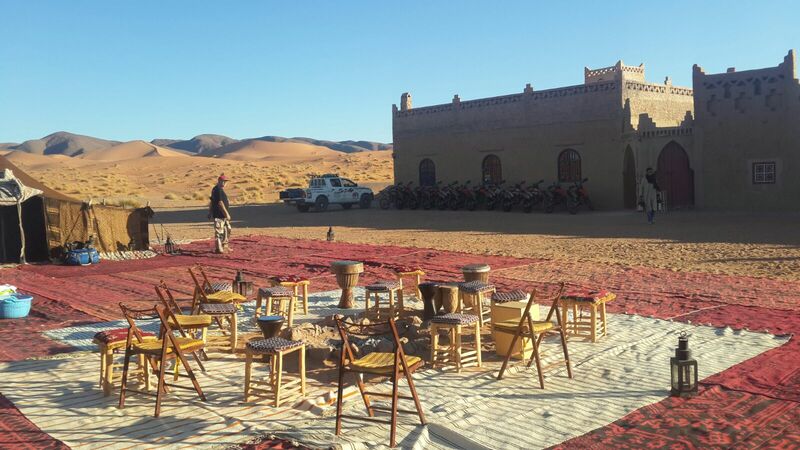 We start with the Erg Chebbi with 30km to explore the highest dunes in the Kingdom of Morocco. Refueling no later than 11:30 p.m., and head towards Ouzina for another 100 km before lunch in a bivouac beside the dunes. After lunch a sandy track used on the Dakar that takes us to a refueling in a small village 35 km before arriving to a recently rebuilt Desert Bivouac. Dinner at Bivouac. Possibility of sleeping in a room or in a Berber's tent. Breakfast and leaving for a new stage towards N'Kob. 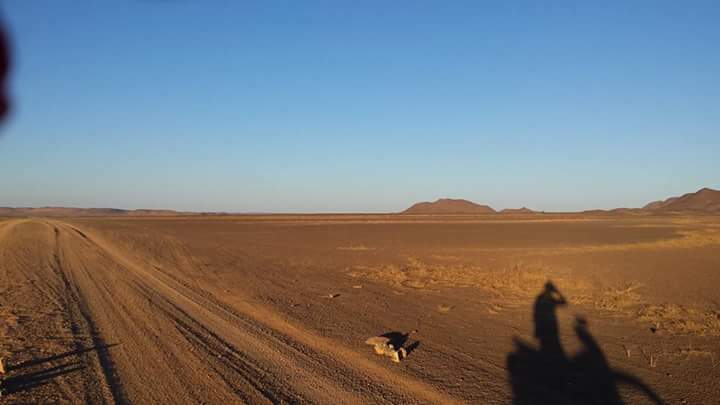 We continue on the Dakar tracks for a few kilometers, then head north on super fast lanes around the hills and Acacias that dominate this area. Several entrances in dry river beds with sandy soil, of enormous pleasure of conduction. Picnic lunch in a small village. In the afternoon we continue on fast lane to Tazarine, then descending a mountain range with unforgettable views. We entered asphalt 10 km from our hotel in the village of N'Kob, a beautiful riad with swimming pool and green gardens. Time for a well deserved beer before dinner at the Hotel. Refueling on the way out from N'Kob before entering a dry river bed for 10 km. It's a fast, undulating runway on sandy ground, with all the riders leading the view of each other ... memorable! After that, we head north to cross Jebel Sahro again. Mountainous hike of enormous beauty and also very technical . After the mountains we enter a valley area with some palm trees and crossing small villages until arriving at Skoura where we will have lunch. Pretty fast tracks before and after lunch. The afternoon stage has the last 85 km that take us back to Ouarzazate. Dinner and overnight stay optional. Optionals: After the tour HORIZON ADVENTURES may schedule an extra day and night with dinner at one of the best known restaurants in Marrakesh. Superb!! Ask us for details. note: we recommend you to bring your own gear but we can supply this for an extra 120€.